First there’s the good guy – the African dung beetle – which merrily goes about its business of rolling dung. Then there’s the bad guy – the predatory South American cane toad – that is decimating the dung beetle and undoing all its good work. Strangely in the beginning, like all good stories, they had a common purpose. Both foreign species were introduced into the Australian ecosystem to help farmers beat pests that threatened their livelihood. But then one of them turned out to be a spectacular success and the other a dismal failure. The solution to this epic struggle between good and bad appears to be water tanks. The cane toad was introduced to the cane fields of Australia in the late 1930s to control cane beetles, which were devastating sugar cane yields. This proved to be a monumental mistake as the toads were wholly ineffectual in controlling the cane beetle. For one thing, cane toads are not very good jumpers (probably due to their toadish shape) and can’t reach the beetles, which tend to live high up, close to the top of the cane plants. So now you have a creature that is not doing its job, but is having a devastating impact on the natural flora and fauna. Their eating habits are largely to blame. Cane toads are gluttons, and don’t discriminate in what they consume, which comprises largely of a diet of other toads and frogs, insects, plant matter and small mammals. As they are an alien species, cane toads have no natural predators – and on top of that they are prolific breeders. They’ve insidiously invaded large tracts of northern Australia and are now heading south and west. 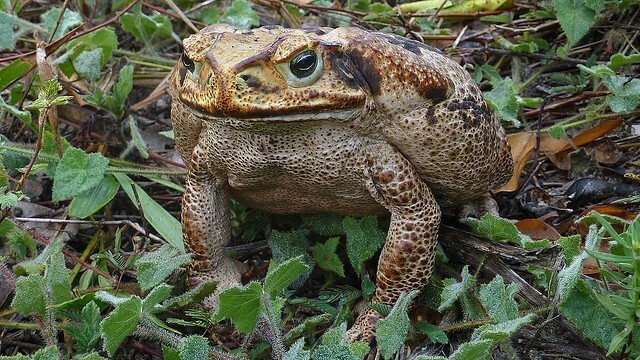 At the moment the cane toad is Australia’s public enemy number 1, when it comes to invasive pests. With the development of the Australian cattle grazing industry, a growing problem (literally) was cow dung. The introduction of cattle changed the ecological landscape of Australia, and the indigenous dung beetles quite simply couldn’t handle the wet, sloppy mess compared to their usual diet of kangaroo droppings. So the dung started taking over the cattle stations and clogging up the pastures vital for grazing. It was also home to flies, worms and other nasties that threatened the health of the cattle. So in the 1960s, enter the African dung beetle, which has proved to be the good news story in reducing cow dung across Australia. The dung beetle is an amazing little insect. It is effectively the waste collector of nature. It lives almost exclusively on dung and is capable of rolling up and burying dung balls 250 times heavier than itself in a single night. ● Dung is returned to the soil, creating a natural fertiliser that greatly improves its quality. ● It increases pasture production area as they are no longer clogged with dung. They have provided a very good return to graziers and to the environment. It boils down to the fact that dung beetles are the cane toad’s list of favourite snacks. And the result is that the epidemic spread of the cane toad population is devastating to that of the dung beetle. University of New South Wales Associate Professor Mike Letnic and University of Western Sydney PhD Ben Felt decided to tackle the problem in a research project. They found that the key lay in water. They studied cane toad and dung beetle populations in areas where cattle drank from earthen dams, compared to areas that used water tanks and troughs. The results showed that cane toad population density was five times higher around earthen dams than in areas surrounding water tanks. While the populations of dung beetles in the areas surrounding tanks were 12 times higher than in the areas around earthen dams. In addition, it showed that there is a 13% higher rate in dung removal in the areas with tanks compared to where earthen dams were used. Cane toads need open bodies of water to breed, hence the lower populations around water tanks and troughs. 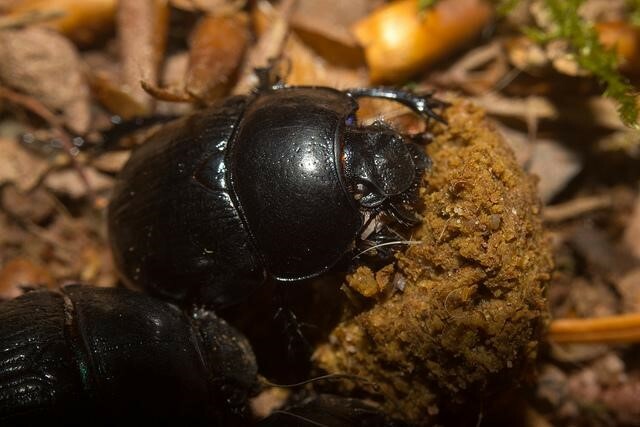 While dung beetles had higher populations here due to lower levels of predation by cane toads. This research highlights a great opportunity to improve the productivity of cattle grazing in northern Australia, and at the same time help to reduce the cane toad invasion and provide some positive benefits to the environment. The value of installing and using of water tanks on farm watering systems is well documented. They lower evaporation rates, prevent seepage and reduce reliance on bores and wells. This also results in less fuel being used in the maintenance of pumps and associated equipment. Another cost-saving win for the farmer. If you are interested in getting more information on this research, you can contact Bushman Tanks or go to the UNSW website or the University of Western Sydney Hawkesbury Institute for the Environment website.